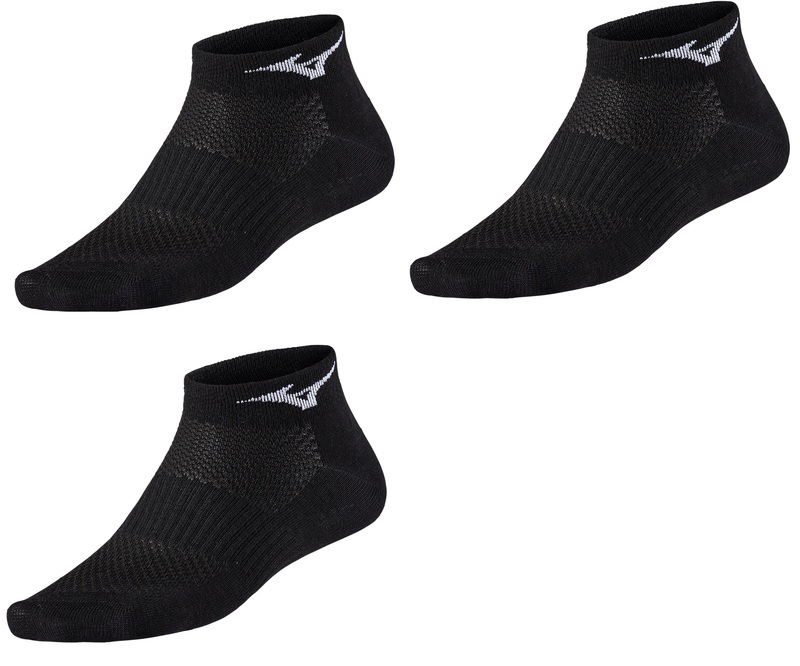 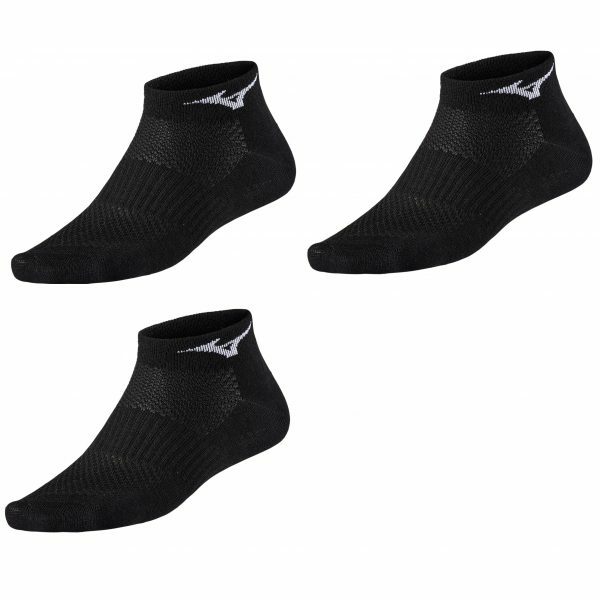 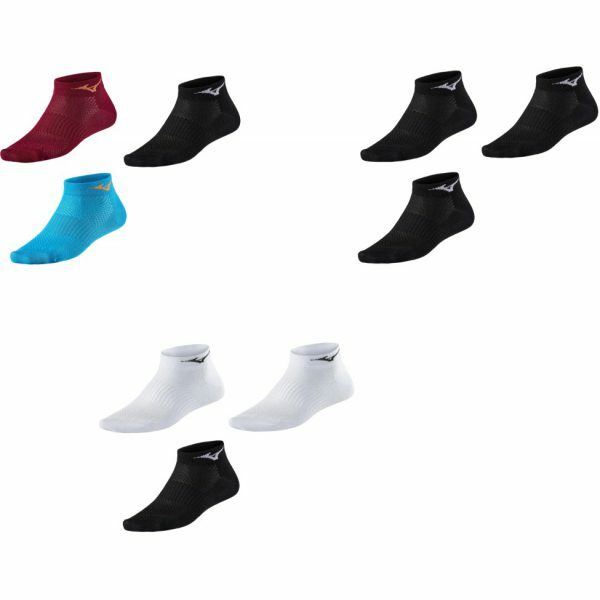 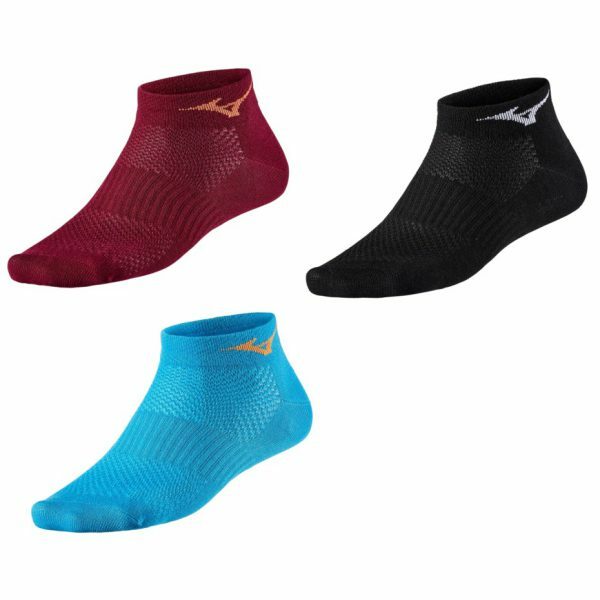 Limited quantity only available of Mizuno top quality pack of 3 trainer socks. 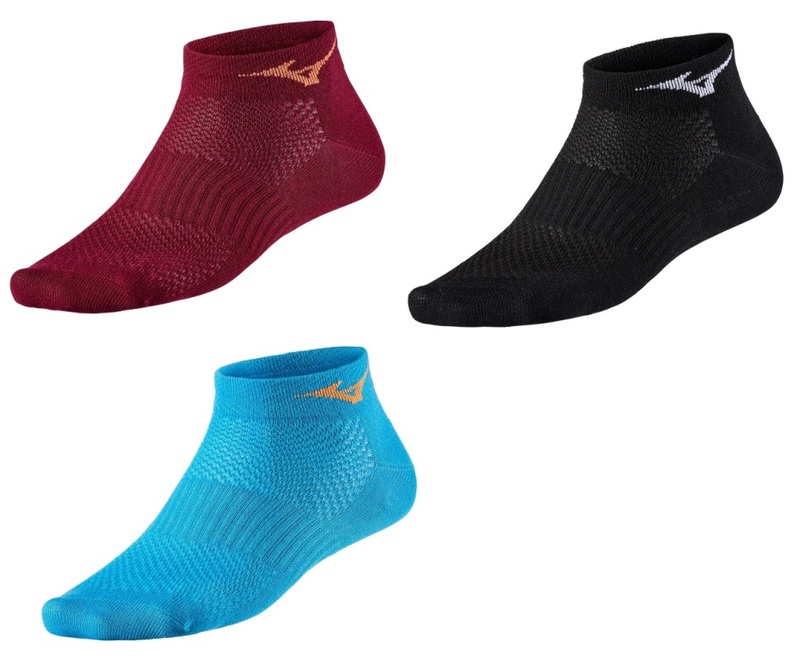 Mizuno Drylite technology helps keep feet dry and comfortable by wicking moisture away from the skin. 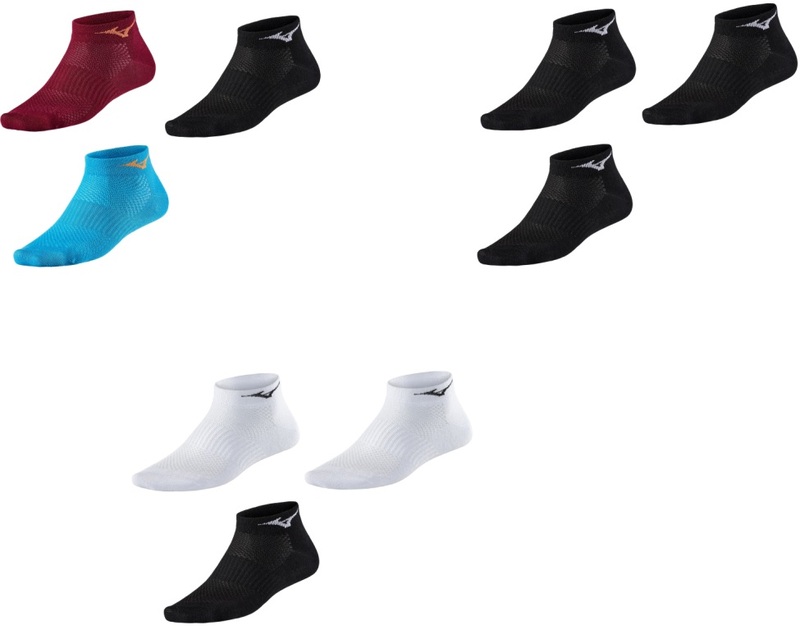 97% polyester / 3% polyurethane. 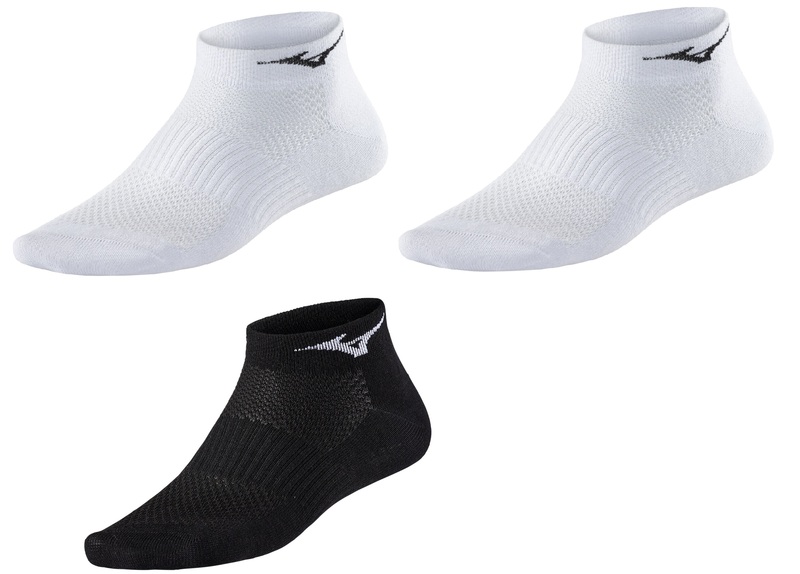 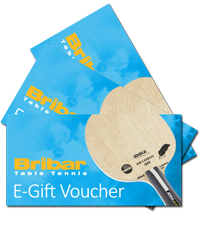 Thin knitted for maximum comfort and breathability, designed with minimum stitching to prevent friction and anatomically foot specific construction.